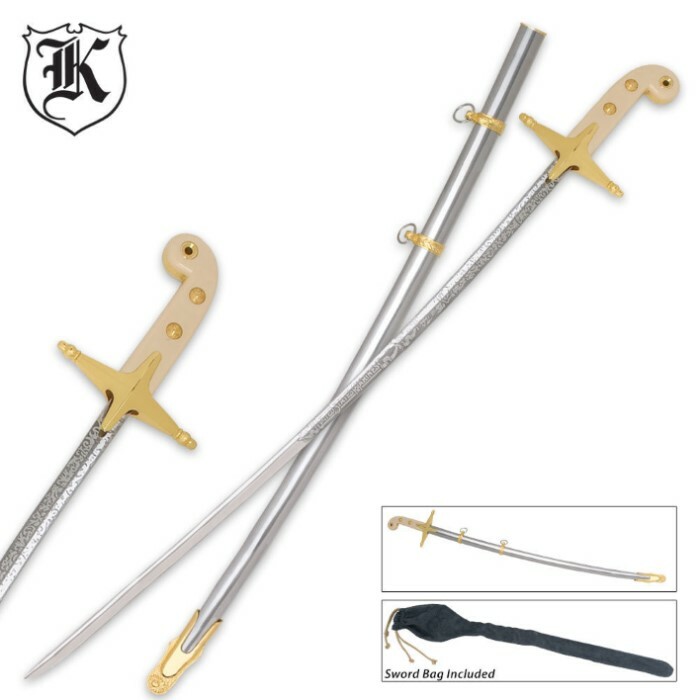 This custom military sword is constructed under strict quality control standards in order to create this master piece. The stainless steel blade offers an intricate blade etching matching the original piece. The sculpted handle is accented with a smooth ivory finish with brass plated rivets and guard. Includes a stainless sheath and custom cloth bag. 35 3/4" overall. picked this sword up on a wim, was pleasantly suprised . it is very well made and looks exceptional. definately a must have. bought the miniature model of this one awhile back, and liked the design and quality workmanship that went into it. 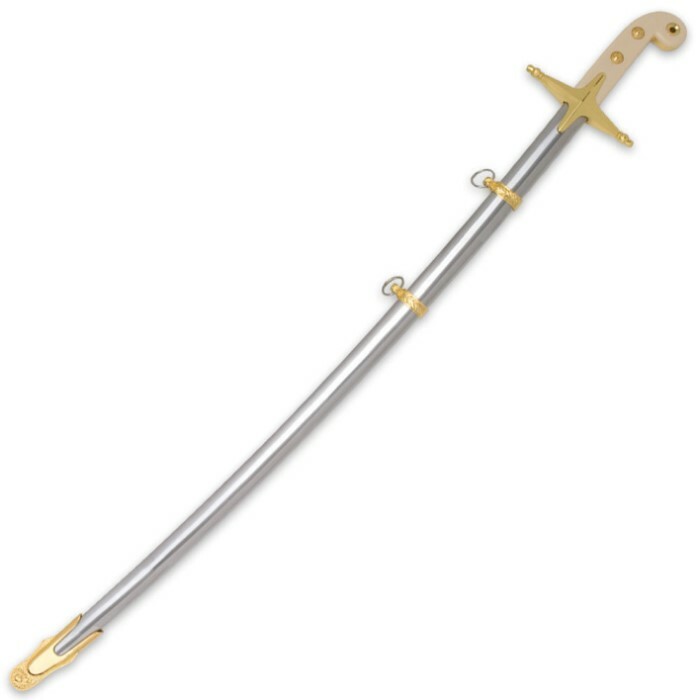 Also bought the USMC NCO sword, and got this one to go along with it. You will not be disappointed in this one. Remarkably well made. Don't miss out on this one. Arrived in 3 days. Super fast shipping with no problems what-so-ever. There was no damage to the sword when it arrived and I am very pleased with the packaging of the sword. This sword is absolutely Mind-Blowing. The overall esthetic of it is truly Amazing. Every thing for the handle, to the guard, to the blade itself is unbelievable. The engraving on the blade is great, although a black smudge was present it was easily removed with a nearby rag. The sword has a nice weight to it as well. The cloth bag is surprisingly nice and looks great with the sword inside. This Dress sword is incredible and the price was too good to pass up. This is my first purchase from True swords.com and I am exceptionally pleased with my order. True swords has definitely passed my expectations and I will be ordering more products from this site in the future.